Fashion Architect: Vivienne, is that you? Garance Doré says pirate boots are the official footwear of the coolest girls she knows. I'll have to take her word for it. 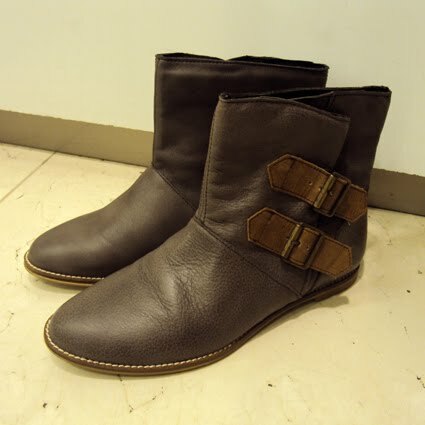 Although our favourite parisienne was referring to the original Vivienne Westwood pirate boots, the ones I found in Zara seem like a nice alternative. 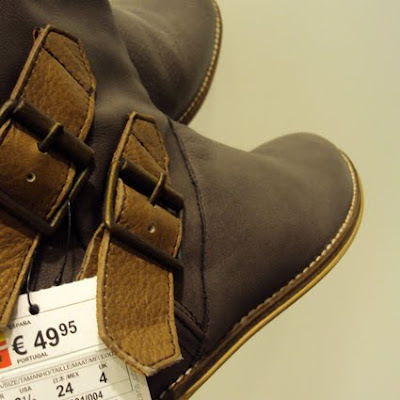 But Zara boots for €49,95 (even if they're real leather) actually make me think of saving up for the originals. they look great!cant wait to see you wearing them! They're really cool. I have also seen a higher version of them (both in brown and black) here in Paris. They were gorgeous. Xmm.. nomizw akrivoutsika gia Zara..einai omorfa omws. είναι η ιδέα μου ή όντως τα παπούτσια σε όλα τα καταστήματα της ίντιτεξ έχουν ανεβασμένες τιμές τελευταία? I think I prefer those to the originals. I say it's worth it. even if you own only one, or 100 designer pices, they are an investment.